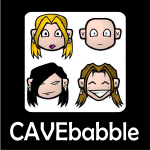 Cavebabble hits the road for an Americana tour along Route 66 in Missouri. Odd stops include Stubby Stonehenge, the Vacuum Cleaner Museum and Factory, the world’s 2nd largest rocking chair, a bit of history in Crawford County, the classic Wagon Wheel Motel, a night at the 19 Drive-in, and the Uranus Fudge Factory. Thanks to the town of Cuba, MO, and the surrounding area. Human stories are everywhere if we just take the time to listen. We are stuck on an island, but Manny just showed up to help us escape. Too bad he is dead. Join us for a look at the surreal dramatic comedy Swiss Army Man, starring Paul Dano and Daniel Radcliffe. This episode is brought to you by Supernatural Gas. They have arrived. It’s time for first contact, and it’s up to Amy Adams to break the silence. Language determines the fate of humanity in Arrival, directed by Denis Villeneuve. Join us for an in-depth look at the film! This episode is brought to you by You. Thirty-two years after the original Ghostbusters saved the world from Gozer, a female cast arrives for a 2016 remake. Join us as we take a look at both films, and tiptoe through the minefield of public opinion. This episode is brought to you by Ectoplasm. killer landmarks, and science be damned! This episode is brought to you by Smells Like Burnt Peach.